From 1927-1936, Columbus was home to a giant in ornithology and behavioral ecology, Margaret Morse Nice. At a time when ornithology was a male dominated field and collection/listing was the name of the game, she ushered in a new era with her studies of life histories and behavior. As her subject, she did not study the flashy or the rare, she focused on a bird she could find right at home and along the nearby Olentangy River, the Song Sparrow. In many ways, she would not recognize the river today. Forests have grown, dams have been built, dams have been removed, and housing has become more dense. One thing has not changed however: her sparrows still fill the air with their melodious song that gives them their name every Spring. Here in the Tonra Lab, we have begun a project to both continue the legacy of Margaret Morse Nice's research and help to train future ornithologists. Our project is taking place at Ohio State's Wilma H. Schiermeier Olentangy River Wetland Research Park, located less than a km upstream from Ms. Morse Nice's former home. 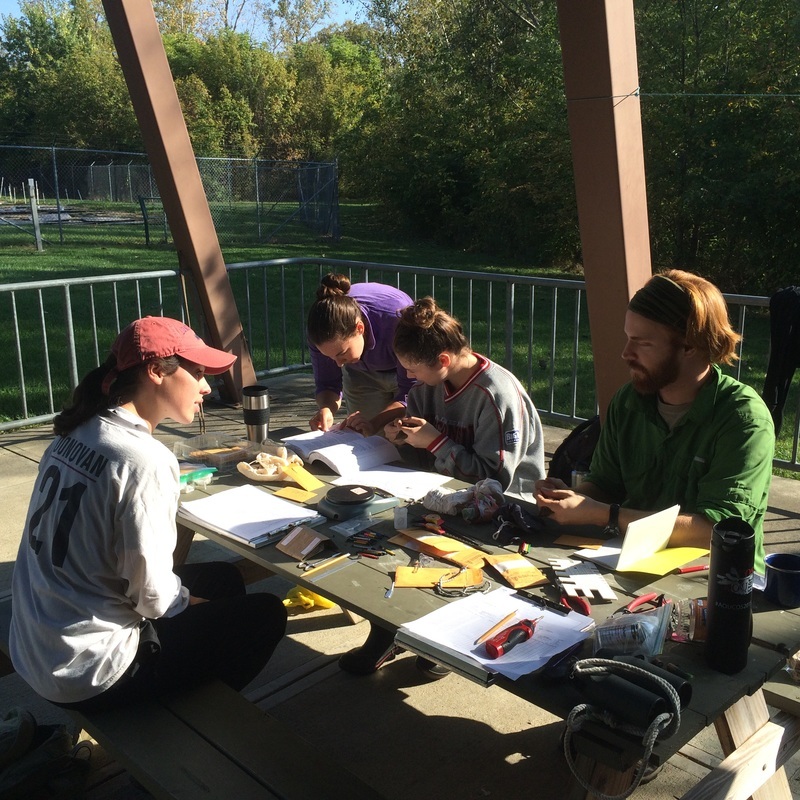 We have begun a year round bird banding project, where in addition to studying the ecology of the local bird population, we are training volunteer OSU undergrads in field research techniques in ornithology and wildlife ecology. We are collaborating with other researchers at the Wetlands to monitor the local food web dynamics as well. But perhaps most exciting of all, is that we have begun a focused project on the descendants of Margaret Morse Nice's subjects, the local Song Sparrows. We are color banding them to track individuals throughout their annual cycle to examine their population limitation and give students experience in studying life histories and behavior as Ms. Morse Nice did almost 90 years ago. In addition, we are incorporating technological and quantitative advances she could only have imagined to explore even deeper into the biology of this charismatic bird. We have also now expanded our project to study overwinter survival in an array of resident and migratory songbirds, with the help of undergraduate resources and the ENR5364.02 Avian Biology and Management course.